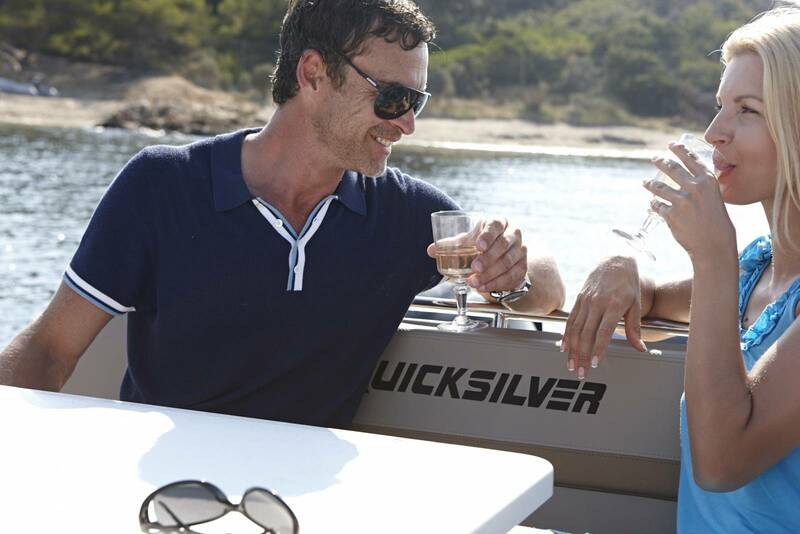 Designed with attention to detail, the Activ 805 Cruiser is our flagship model for day cruising. 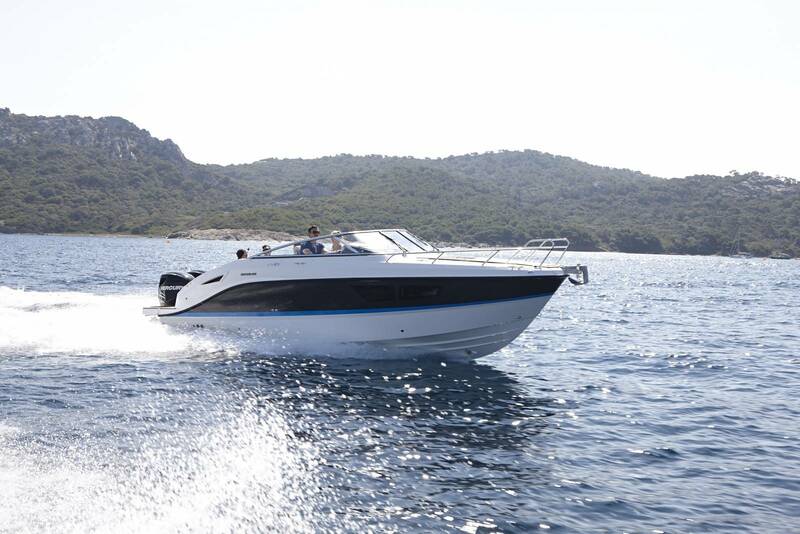 Refinement, power, safety and comfort are the key values you’ll appreciate in this smart new addition to our line-up. 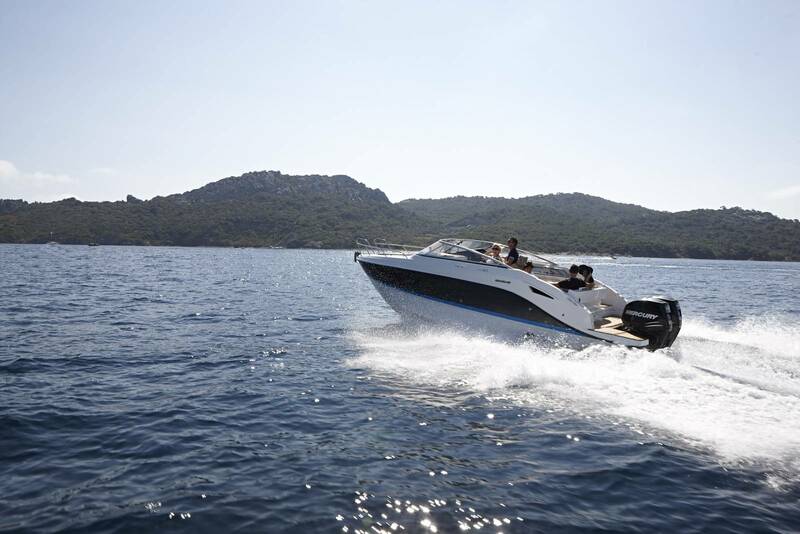 Powered by up to 400hp of engine power and accommodating up to nine for day cruising and refined sport and leisure use with family and friends, the Activ 805 Cruiser is the ultimate in smooth and stylish performance on the water. 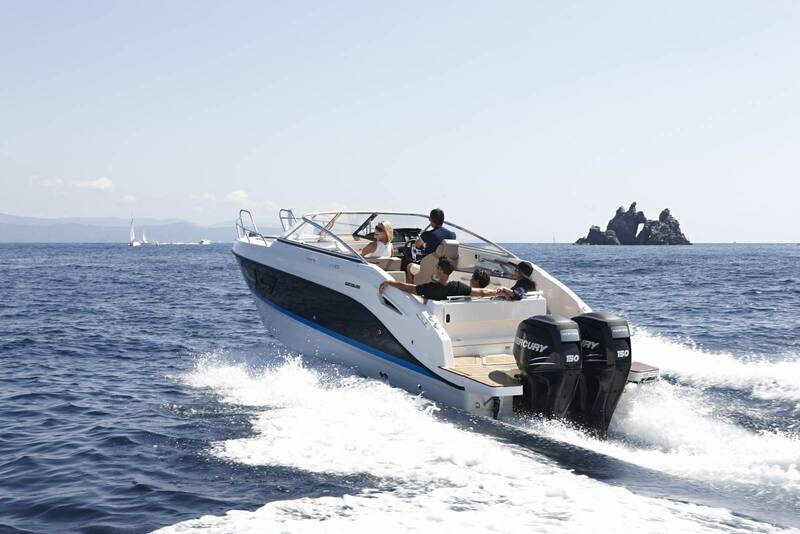 to enjoy the water in complete security. 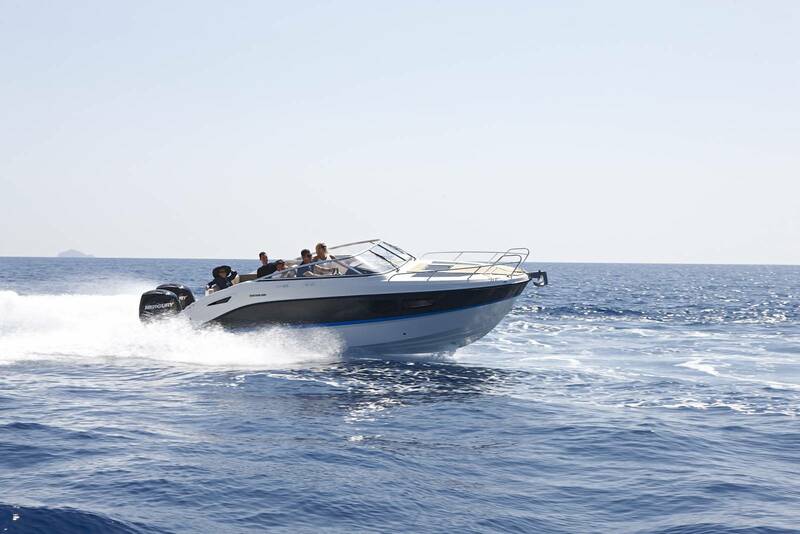 With a hull designed for safe yet high-performance use and a high level of navigation console accessibility and visibility, it’s an extremely safe craft at any speed and in a variety of weather conditions. 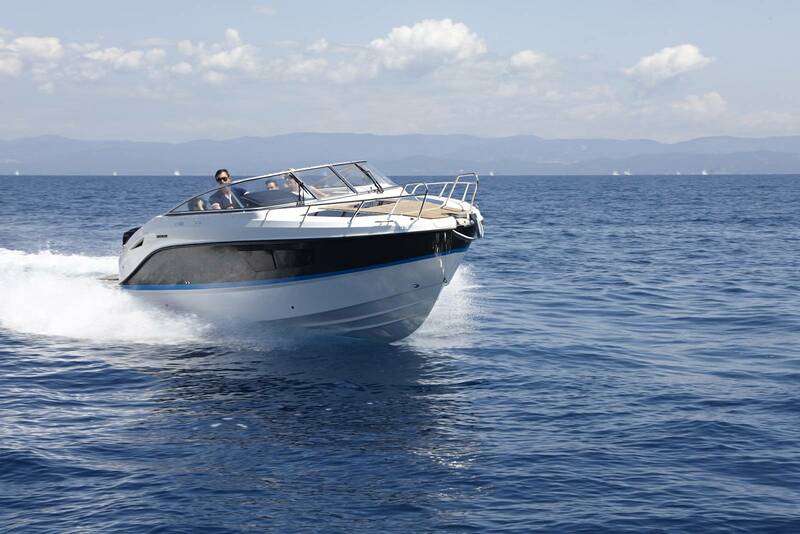 The easy stern access and twin swim platforms include a robust ladder allowing for equally easy access directly from the water. 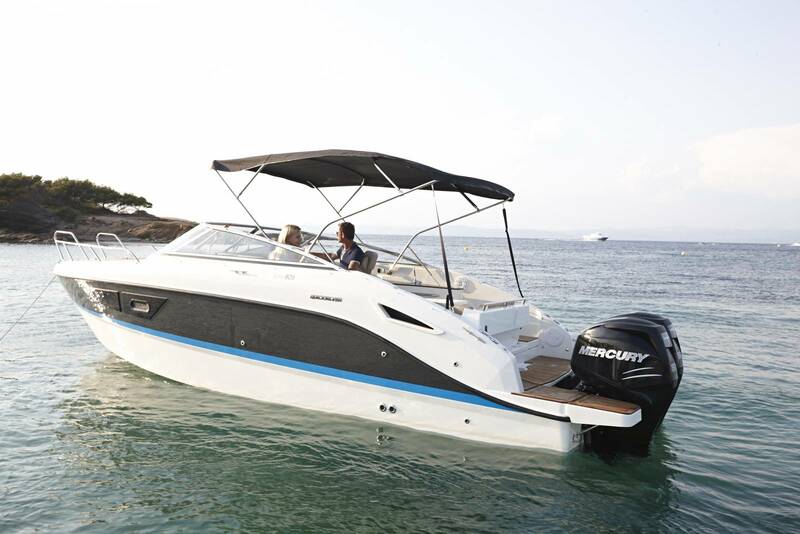 With its sleek, fluid lines, the Activ 805 Cruiser’s perfect proportions create a powerful presence on the water. 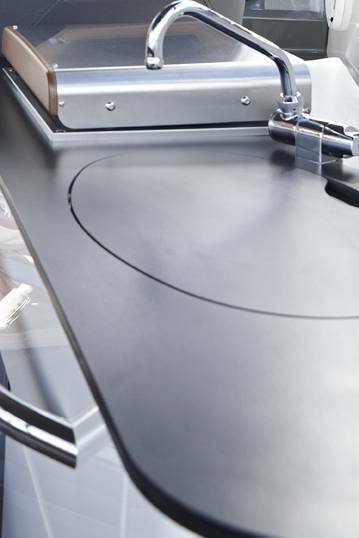 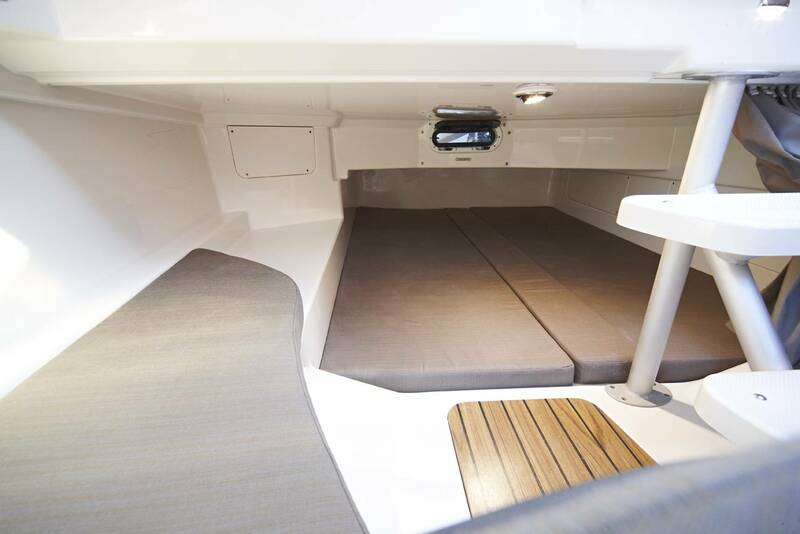 The high-spec exterior fittings and intelligent design elements give the boat a unique style, complemented by high-end finishing such LED courtesy lights and teak cockpit table. 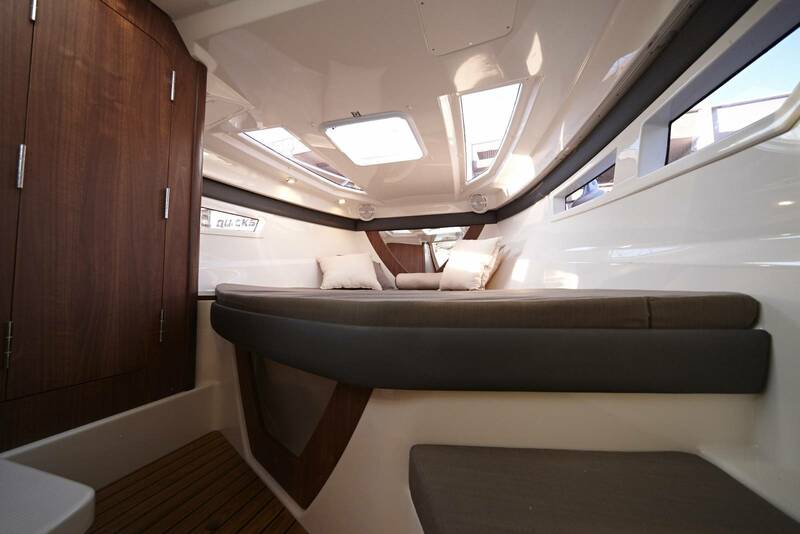 The interiors are fitted out in elegance and style, with eye for detail in the upholstery finishing, cabinets and wooden trim giving an overall sense of refinement. 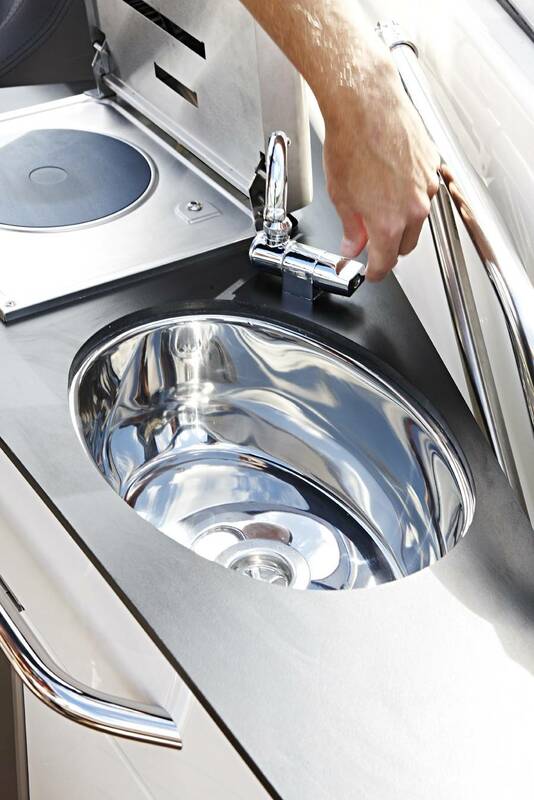 With overnight accommodation facilities designed to cater for up to four adults, the Activ 805 Cruiser offers a spacious and airy double forward cabin, twin mid-berths, a practical yet private marine toilet with its own window and sink and a robust and practical galley with a refrigerator, fresh water system and stove. 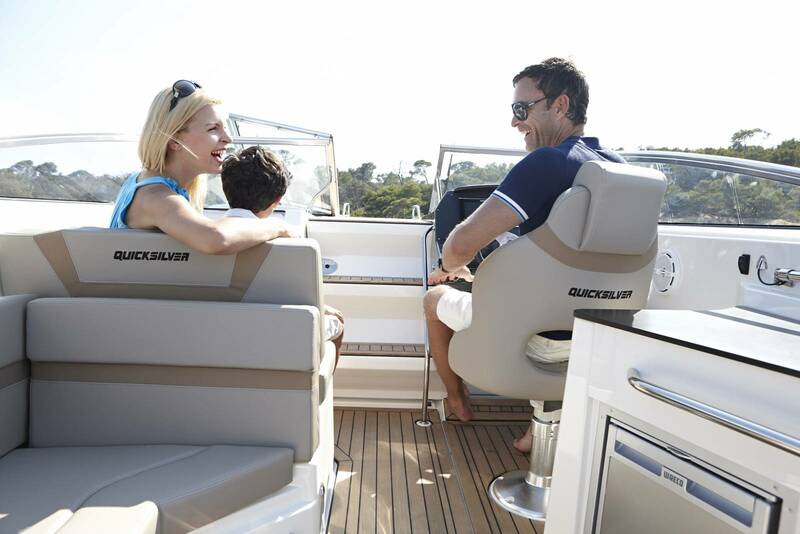 For daytime use the Activ 805 Cruiser accommodates up to nine adults in comfort and style. 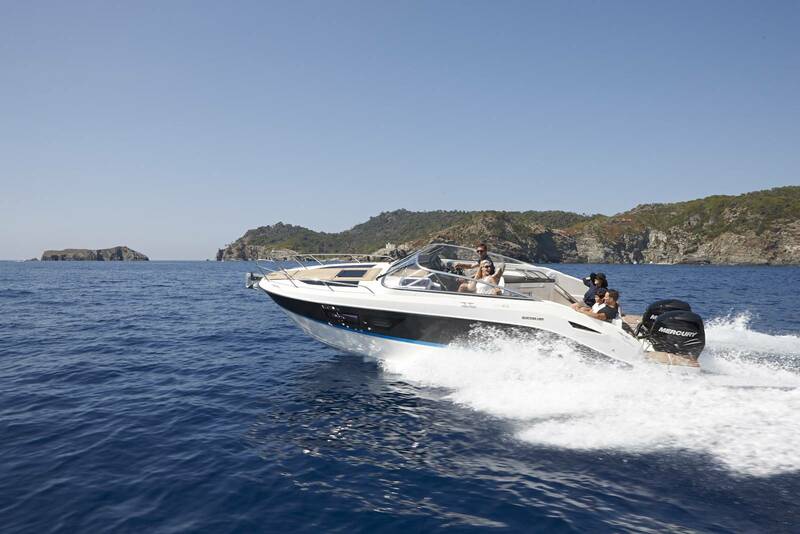 it’s for skiing, water sports or coastal cruising. 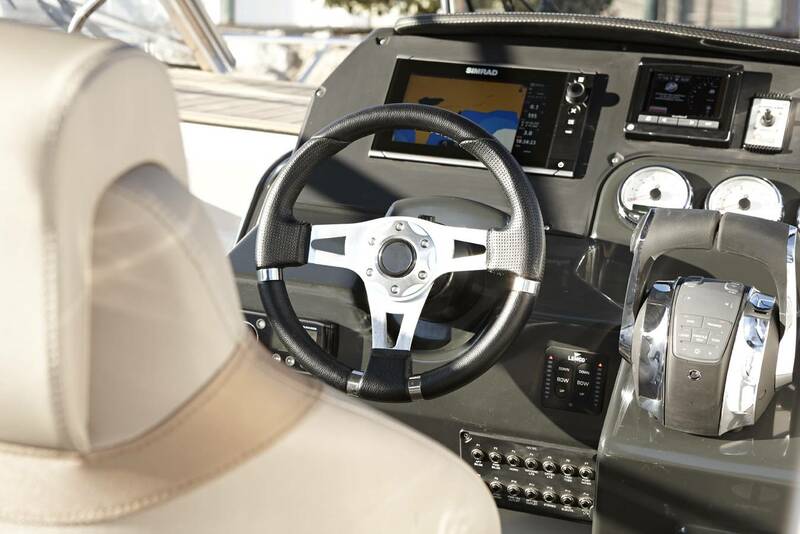 Three different cockpit configurations from comfortable cockpit seating to dining area and to spacious sun lounge. 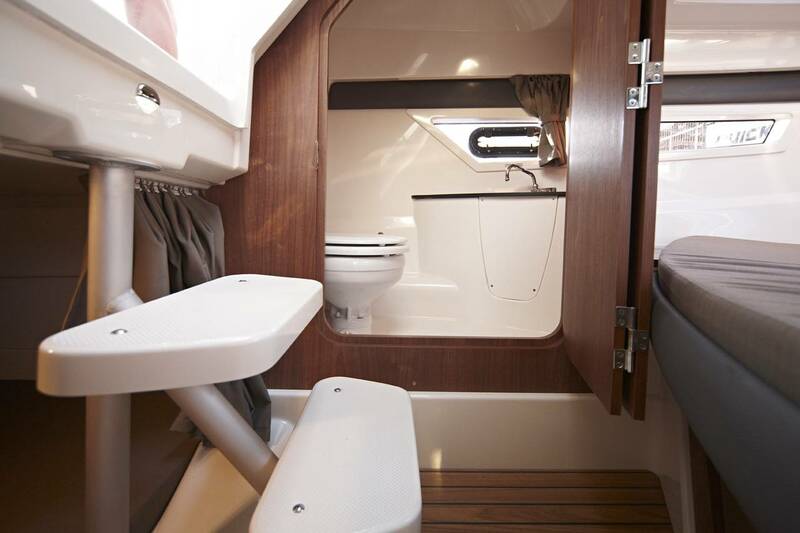 The cockpit teak dining table seats five people. 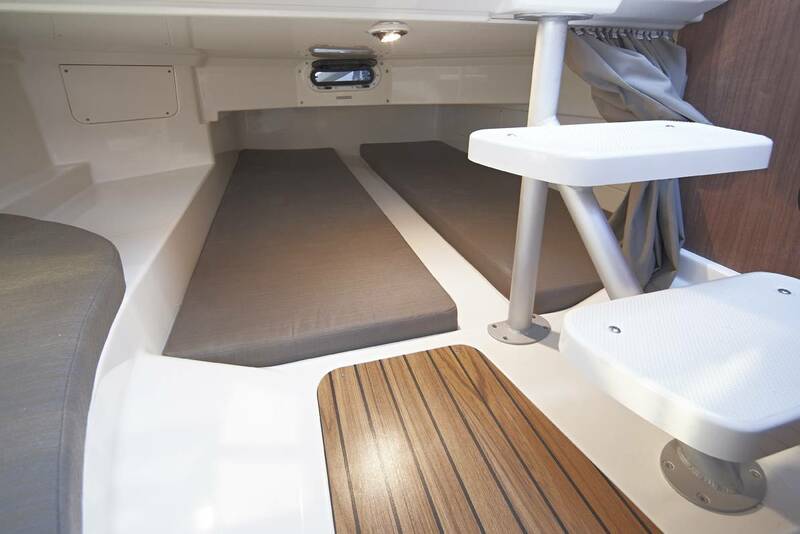 Not to mention an optional full size foredeck sun lounge.